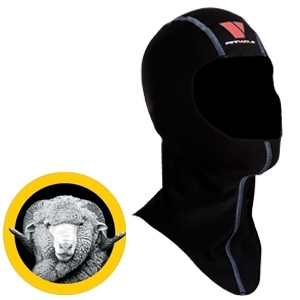 LIGHTWEIGHT V-SKIN HOOD CONTROLS HAIR, PROTECTS FROM THE ELEMENTS AND ADDS WARMTH. Super stretch Lycra allows snug yet comfortable fit. Merino™ lining is naturally antibacterial. Provides insulation without causing overheating. Packs up small for travel. 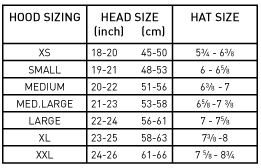 Sizes: Small, Medium, Medium-Large, Large and XL.